The recession was particularly hard on New Mexico, and the state made deep cuts in spending on health care, education, and other essential government services. As our economy began to slowly improve, we began to restore funding to pre-recession levels. Then, in 2013, lawmakers enacted massive tax cuts for corporations, which, we were told, would bring jobs to New Mexico. Those tax cuts—along with big tax cuts for the wealthiest New Mexicans, enacted in 2003—have made New Mexico too dependent on revenue from gas and oil extraction. This over-reliance on oil and gas revenue became a serious problem—as it has in the past—when the bottom dropped out of gas and oil prices last year. Faced with very little new revenue, New Mexico had a choice: raise new revenue by rolling back the ineffective corporate tax cuts or cut spending. To balance the budget, New Mexico chose to protect tax cuts for corporations and instead to cut the budgets for health care and education—two areas where New Mexico needs to grow, not cut. Because of the revenue shortfall, the 2017 budget will be millions of dollars lower than the 2016 budget. • Medicaid, which provides health care for those who would otherwise not have it—low-income families and children, the disabled, and elderly—was underfunded by $85 million. Since we’ll lose hundreds of millions in federal matching dollars, the state will need to cut $417 million in health care services. • Underfunding Medicaid means the state will cut payments to hospitals, doctors, dentists and others at a time when we need to attract and keep providers. • Some of those Medicaid cuts will adversely impact mental and behavioral health services, which have already been disrupted to a devastating extent. • New Mexico is also planning to cut Medicaid benefits and enact more co-pays and premiums for low-income families. This means the state is shifting the responsibility for paying for government functions from corporations and the rich onto children, working families, the poor, disabled, and elderly. 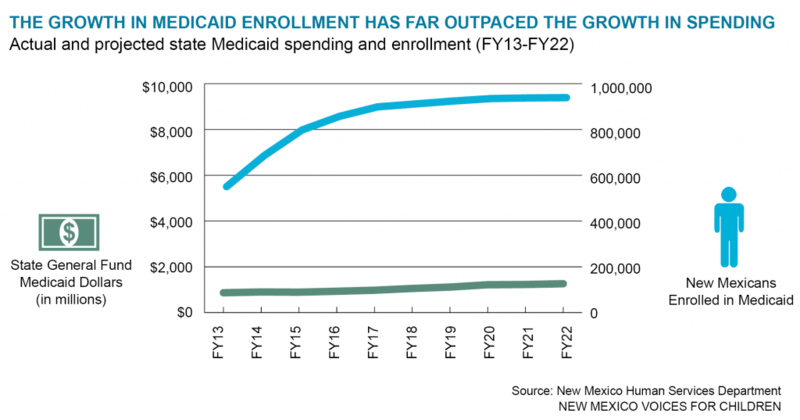 • Even though the Medicaid program will have to bear the burden of the deepest cuts in the state budget, Medicaid will more than pay for itself through 2020* because of all the jobs and federal money it brings to New Mexico. • Health care is the only sector growing jobs in New Mexico. But this funding cut could put the brakes on that growth. While enrollment in Medicaid has grown rapidly, what the state has to spend on Medicaid has not. Medicaid is part of the solution to our budget woes, not a part of the problem. A more productive choice would be for New Mexico to raise new revenue to avoid budget cuts and job losses, and position the state for even greater job growth in the future. • Freeze the corporate income tax cuts – The big corporate tax cut of 2013 phases in over 5 years and will cost the state $20 million a year when fully phased-in. We could freeze the corporate tax rates where they are now and save millions during the freeze. • Freeze the tax break for manufacturers – At the same time the corporate income tax rate was cut, we changed the formula (called the Single Sales Factor) for the way manufacturers were taxed, essentially eliminating their tax responsibility. The phase-in could also be frozen so we don’t continue to lose revenue. 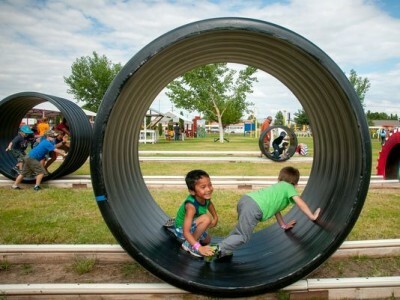 • Raise the personal income tax rate for those at the top – New Mexico cut the personal income tax rate by nearly half for filers with incomes over $100,000 back in 2003. Not only would raising the rate for this bracket bring in much-needed revenue, but it would make our tax system more fair for low-income families, who currently pay the highest percentage of their income in state and local taxes—thanks, in part, to the 2003 rate cut. • Raise alcohol and tobacco taxes and include e-cigarettes – These taxes could both increase revenue and act as a deterrent to young people using products that are harmful to their health. • Require all out-of-state corporations to pay income tax on their profits in New Mexico – New Mexico is one of the few states that still allows out-of-state corporations to move their New Mexico profits to another state to avoid paying taxes here. Not only are we losing millions in tax revenue, but this practice is unfair to New Mexico mom and pop businesses that pay their taxes. A partial fix (called Mandatory Combined Reporting) to this was enacted in 2013, but it exempted many profitable corporations such as banks. • Extend the gross receipts tax to more internet sales – Businesses with brick-and-mortar components in New Mexico already pay gross receipts taxes on their internet sales here, but the exemption for those business that don’t still drains a lot of revenue from the state and puts local retailers at a competitive disadvantage. • Reduce or eliminate the capital gains deduction – Enacted in 2003, the capital gains tax deduction slashed in half the amount paid on this unearned income. This means that income from wages is taxed at twice the rate as income from investments. Most of this tax cut goes to New Mexicans earning more than $200,000. • Enact a new tax on diesel fuel – A large portion of this tax would be paid by out-of-state entities like interstate trucking companies. • Enact a temporary increase in the gas tax – While gas prices are low, New Mexico could enact a temporary hike in the taxes we pay at the pump. The tax could be set to automatically sunset if fuel prices rise to a certain level. • Increase the tax on the sale of new motor vehicles – New Mexico’s excise tax on motor vehicles is lower than the general sales tax on most other goods purchased in the state. It’s also lower than in surrounding states, and could stay lower even if this proposal is put into effect. • Decouple from certain federal income tax provisions – When the federal government makes changes to the income tax code, those changes often affect state tax codes unless states take action. New Mexico could decouple from two current federal rules: bonus appreciation and the cancellation of indebtedness provision of the American Reinvestment and Recovery Act; as well as one potential rule: a deduction for domestic production activities. • Enact a health care provider assessment – Instead of facing cuts in Medicaid reimbursement rates, many health care providers would prefer to be assessed a provider fee. The money collected could then be added to the state’s Medicaid budget, allowing the state to draw down the federal matching money. • Require a tax expenditure budget in statute – A tax expenditure budget allows legislators to see the hundreds of tax exemptions, deductions and credits they have enacted over the years. This makes it easier to review tax expenditures for their cost-effectiveness and repeal those that do not grow the economy. While the Taxation and Revenue Department does produce a tax expenditure budget under executive order, requiring one under state law would give legislators more authority over which expenditures are studied. • Require sunset provisions in all tax cuts, exemptions, deductions, and credits – When Congress passes tax cuts, they always include a sunset, meaning they expire after a certain amount of time unless Congress acts to reauthorize them. This allows Congress to evaluate tax cuts and let those that do not have the desired economic impact to expire. New Mexico lawmakers have begun to add sunsets to their tax cuts, but Governor Martinez has been vetoing the sunset provisions. If a sunset was required under statute, the Governor could not veto it. 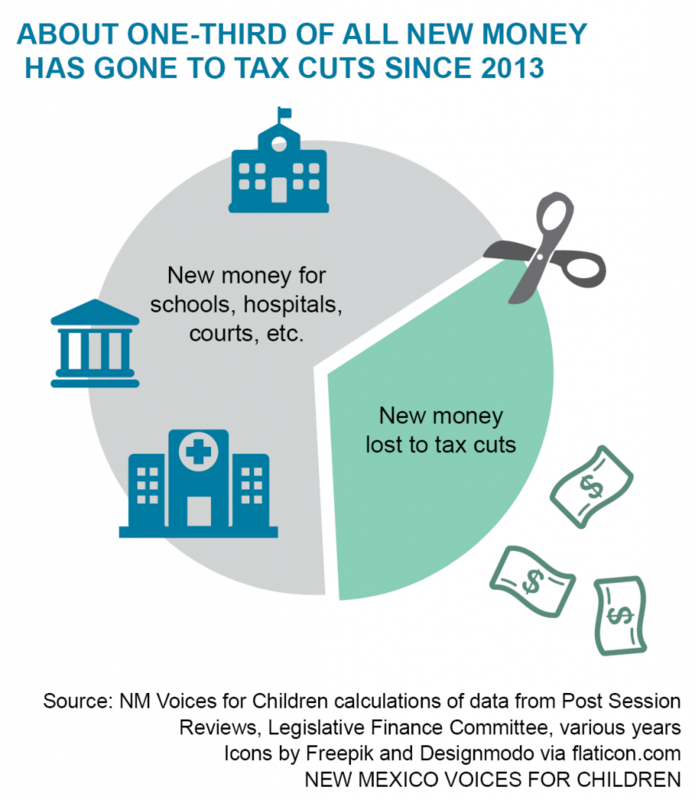 Every year, as we continue to give away much-needed revenue in the form of ineffective tax cuts, New Mexico must revisit this choice: do we protect tax cuts for corporations and the rich and continue to underfund critical services like health care and education or do we raise new revenue and invest in the programs that make New Mexico’s people and economy strong and healthy? The answer seems obvious: We invest in New Mexico.